Our last appointment in Amsterdam was to go to the Van Loon house where we had arranged to meet Marlene Dumas, who has recently been appointed as an Honorary RA. She said that she hadn’t been sure whether to accept or not, but did so on behalf of women artists everywhere. 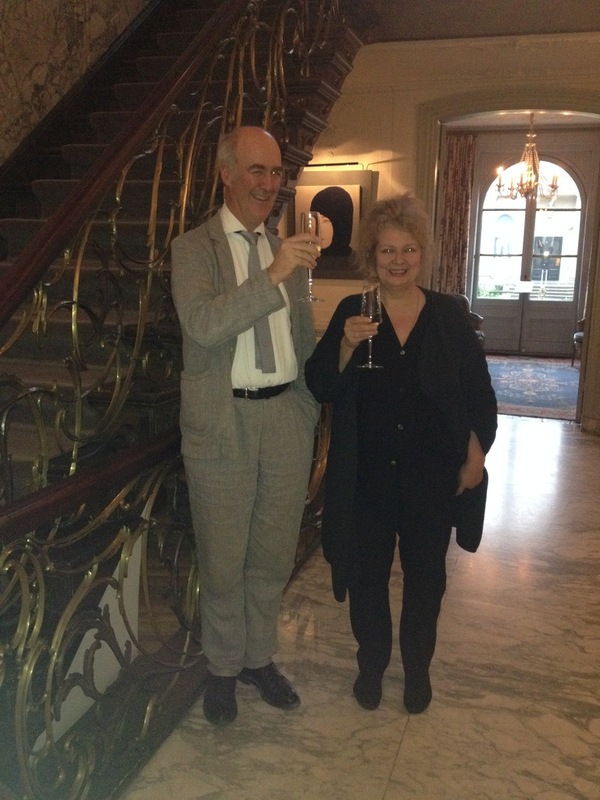 I attach a photograph of us both raising a glass to this (sorry about my suit).